A podcast about podcasting. Learn how to create high quality audio and video podcasts from professional podcast producer Ray Ortega. You'll learn how to go from not having a show to being in iTunes and beyond. 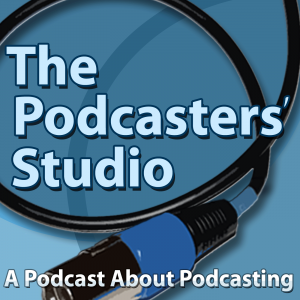 Tips and instructional podcasts regarding how to plan, record, edit, and promote your show. You'll get all the information you need to start (gear, media hosting, building a website), maintain (content production, making money, post production techniques) and grow (finding new subscribers, upgrading your studio, getting sponsors) a successful podcast.